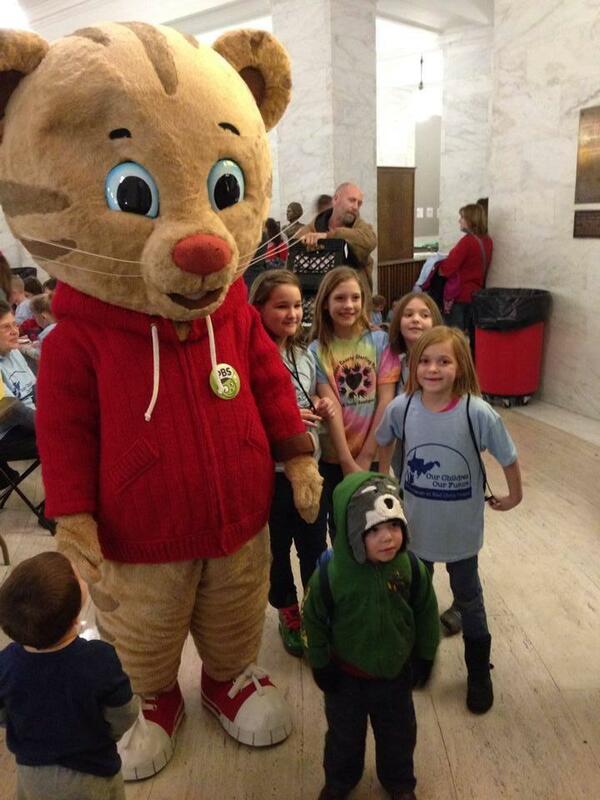 Daniel Tiger dropped by Kids and Families Day at the Legislature on Feb. 4, 2014. Daniel Tiger's Neighborhood airs weekdays on WV PBS at 11 a.m.
West Virginia Public Broadcasting’s Ready To Learn service coordinates with this national effort (click here for more info) and provides a variety of community-oriented initiatives to prepare our state’s children for lifelong educational success. These include: workshops, events, library corners, reading camps and special curriculum programs.